Very helpful software when analyzing organization well being as a whole. Some parts of the Target Analytics software can be confusing or do not give you all parts of the report you need. Be sure to compare what the business needs with what the software provides. You can start off broad and then segment out the numbers based on how deep you want to go into the required area. "Immensely helpful direct response fundraising tool "
Take the time to complete training and understand all the features, especially with constituent record integration -- this will make or break the ROI on this product for your development department. We could not have executed our direct response fundraising program so successfully and efficiently without Blackbaud Target Analytics. We gained priceless knowledge on our donor base and could make changes in messaging and channels as needed. By participating in a benchmarking study with other like nonprofit organizations, we could see just how integral Target Analytics was to the success of our program. Going back to our board of directors with these metrics was key to leveraging more investment in our program budget. 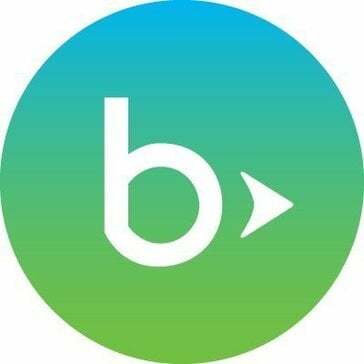 There are other similar products out there but having Blackbaud support for both our CRM and analytics products made a world of difference in daily use. "Would recommend, especially for RE integration"
Integrates really well with Raiser's Edge and provides simple and easy-to-understand ratings and suggested asks. Seems to put too much weight on non-liquid assets, like owned property, as an indicator of capacity to give. Good value even if you only run it once a year (which is what my org does). Even better value when paired with RE NXT, which runs Target Analytics by default, and more frequently. Target Analytics is our main source of prospect research data, so it has been extremely helpful in allowing our director of major gifts to prioritize her outreach. Helps target the best donor prospects out there and makes it easy to engage. Not as user friendly as it could be. Better if it were more seamless. Getting better profiles for donor prospects and understanding them better. Allowing an easy way to engage! "Quick and easy prospect management"
Quick and easy prospect management for both existing and new prospects. Set-up and implementation can take a bit, but once everything is set up it is well worth the wait. Nothing about the product I did not like. * We monitor all Target Analytics reviews to prevent fraudulent reviews and keep review quality high. We do not post reviews by company employees or direct competitors. Validated reviews require the user to submit a screenshot of the product containing their user ID, in order to verify a user is an actual user of the product. Hi there! Are you looking to implement a solution like Target Analytics?